So I thought I would ask our Coco followers what they thought, do you guys like this bed set? Is there another dark bed set that you’ve seen that you think is better? Bedding and color aside, what else would you guys like to see in Coco’s studio? We would love to hear your suggestions! I had planned on talking about bathing suits today BUT when I logged into Facebook today I saw an awesome sale on some gorgeous bras that I just had to share! Buying bras when your size is not the typical 36B is hard! The selection is minimal,there’s not much that’s pretty or they are super expensive. I love these bras from Frederick’s of Hollywood!! They are so beautiful and would be perfect for YOUR Coco Boudoir session! We are over the moon that J has given us permission to show her images! She had us grinning and laughing from the moment we met her. Â Her wit, humor and tell-it-like-it-is personality is truly incomparable. One of the first things she said to us was “go ahead and look thru my bags, I’m not shy so dig in” and boy, we were not disappointed. Â Her jewelry and clothing options were a-maz-ing! We think she would make a fantastic personal shopper. Â Thank you so much J for allowing us to show you how beautiful you are right now. We are thrilled with the response these beautiful women received on their images and with the voting for the Signature Girl search. We received 398 unique votes for all 5 women! These votes included “likes” on Facebook, comments on the image (no duplicate “likes” and comments were counted) and even a couple votes messaged to us from those who did not have FB accounts but still wanted to participate. We can’t believe how close a race it was between the two front runners. Once we tallied the votes of our panel of 4 judges it was even closer! The two women, Brittany and Samara, were neck and neck for most of the voting and here are the results! Brittany received 137 Fan votes (34.4%) Samara received 135 Fan votes (33.9%) and Â both women tied for the judges voting at 35/40 (43.75%). The results literally came down to two votes! Sooooo because of this we have decided to award the Signature Girl “Crown” to BOTH women!!!! We hemmed and hawed, we were up all night debating the best way to decide this. In the end we really just felt is was too close to call. We feel like both of these women embody what Coco Boudoir tries to convey. Real, healthy, everyday women who are beautiful right now. Our goal was to photograph 7 sessions of our Signature Girl and because Brittany did win by 2 votes she will receive 4 sessions and Samara will receive 3 sessions. Both women will each receive an album of their favourite images upon completion of their sessions. Thank you so much to ALL 5 women who participated in the Coco Boudoir Signature Girl search. We appreciate it so much. To the 3 runners up we would love to offer you a Signature Coco Boudoir session at 50%off Â our regular session fee to thank you. We loved photographing you and we would love the opportunity to spend more time with all of you. Sessions must take place in 2011. Here you go, our 2011 Signature Girls! Now that her hubby has seen the album, we received permission from the lovely C to show some of her images from her petite session held in the beginning of May. Â She did this as a VERY special gift for a VERY lucky husband, who not only has a VERY beautiful wife, but who now has some VERY beautiful images of her. It probably won’t be very often that you’ll see a photographer in our little black book. We are photographers ourselves after all. But we often get asked if we photograph weddings and, for now, our answer is always no. We love weddings! The emotion, the love,the happiness, the details. But with both of our families being so young and the commitment it takes to shoot weddings, it’s not in the plans just yet, if ever. So we were looking for a wedding photographer that we loved, that we could refer our clients too. We found that in Jack & Ruby Photography. Like us, Kara & Becky are two women, two wives, two friends and we are excited to get to share them with you here! Here are a few of their favourite images! Hails from: We’re both from Winkler, MB, though Becky has been a Winnipeg resident for many years. Why did you start your business? We both have individual photography businesses as well as Jack and Ruby Photography. Â We first worked together for our Girls are a Girls Best Friend photo contest and we had so much fun we decided to work together more often. Â Getting together to shoot weddings may have stemmed for our mutual disdain for sitting alone at wedding receptions, but it quickly became much more than that. Â We push each other to be better, and when one of us is having an off day, the other is always ready with a pep talk. Â We can now shoot two angles in the same amount of time, always having two perspectives instead of just one. We are truly inspired by love, romance, and all things pretty! Â Without love we would be out of a job! Wedding, Engagement and couple photography. Â We also work on some other fun projects once in a while. Â We pride ourselves in seeing the romantic side of every couple. Â We want to bring our couples back to their first date, or the day they first felt that spark. Â That’s what we want to capture. Â We love people in love, and we want their images to show that. We hope to see Jack and Ruby continue to thrive. Â We have put a lot into developing our business and it’s become like a child to us. Â We love that as we grow we have more freedom to shoot what inspires us and to work with so many fabulous people and creative minds. How do you balance work/family? Kara: This is probably my biggest challenge. Â I have a 6 month old at home and am challenged daily to find time for both her and my passion for photography. Â Luckily the major benefit of running your own business is that you can choose to take on only as much as you can handle. Â It’s been a learning curve, but I make sure to set aside plenty of time for both my child and my family. Â Jack and Ruby doesn’t photograph every weekend, Manitoba summers are only so long and it’s important to me to take time toÂ camp with my family and enjoy the gorgeous weather. Becky: Ditto what Kara said, this is a big challenge for me, sometimes I feel like if i’m not working i’m doing anything useful. I made a goal to work less this year so I have more time to myself, time to keep my house clean and time to spend with my family. Â With a husband who also works in the wedding industry we both understand what the other person is going through and we extend a lot of grace to each other during wedding season. Â Our motto is to work hard in the summer play hard in the winter! Kara – I can slalom water ski, build a camp fire (though my husband never lets me) and make a mean lemon cheesecake! Becky – I know a lot about pop culture, I’m like a human wikipedia. Kara – Going to sleep at night rather than staying up to edit until 4am. Becky – Â Keeping my house clean! Becky – Chips! Â They’re my weakness! Becky – My husband who supports and encourages me. Â He was really the one to challenge me to follow my dreams with photography. Kara – I’ll have to agree with Becky on this one. Â Without my husband I wouldn’t be able to be a mother AND a photographer. Â And without his hard work I would have to work a lot more and live a lot less. Kara – Bad manners. Â Like when people don’t say thank you when you hold the door open for them! Becky – People who recline their chairs on airplanes. Kara – Right now? Â Pretty much any working mom. Â Even more so, mothers who are professional photographers. How do they do it?!?! Kara – I once had a job holding the stop sign for road construction. Â I lasted three weeks. Becky – When I was four I cut my knee open while hurdling over boxes in roller skates, I still have a scar. Thanks so much Kara & Becky! It’s voting time! So here is the break down of how the voting will work. We decided to take a page from dancing with the Stars, why reinvent the wheel, right? You can check out this link for all the specifics. In short, the winner will be chosen by both votes from you, our blog stalkers and us. Â The percentages will be tallied and a winner will be crowned. In case you haven’t been keeping tabs on the Coco Signature Girl search, you can check out all the details here. Basically we are looking for the face of Coco Boudoir, the “it” girl if you will. We are wanting to try out various new props, locations, poses and any other ideas we may have. It’s sometimes hard to show everything we’ve done since we completely respect our clients need for privacy and can’t always show images we love. Thus the idea for the Coco Signature Girl was born. We will be able to showcase what Coco Boudoir has been up to with our new found crowned model. So please vote for who you think will be best representing Coco Boudoir. Without further ado here they are! The 5 finalists for our Coco Boudoir Signature Girl Search! And a huge thank you goes out to the 5 final girls! We loved working with ALL of you and are going to have an awfully hard time deciding on the winner! Being that yesterday was a holiday, we thought we would post today. I started wearing this do last summer in Germany and it’s become one of my fav hair styles for the summer! 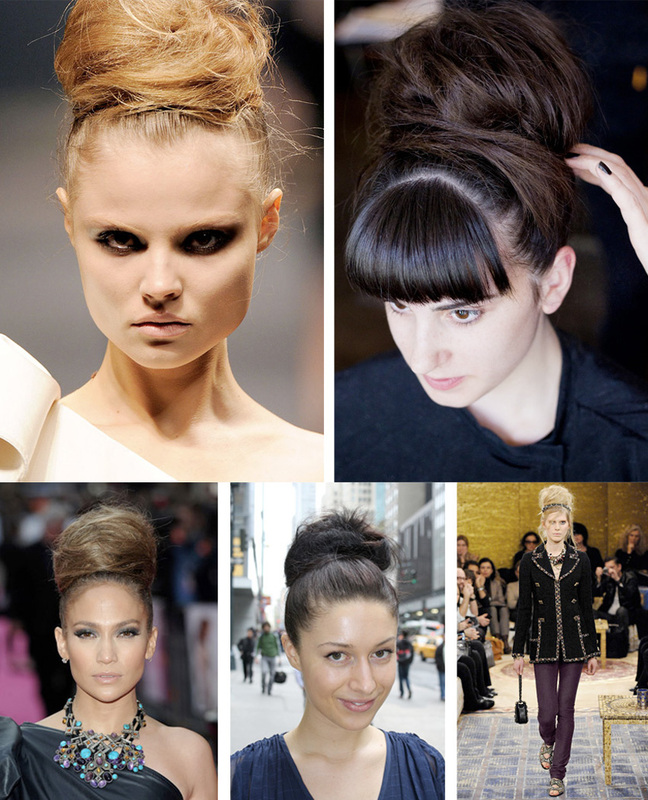 It’s called the Bird’s Nest Bun. It’s perfect for summer time, especially for our humid weather in Winnipeg. This fab hairstyle looks great whether you are wearing a dress or a casual outfit. Here are some instructions on how to get the look. For the Chanel pre-Fall 2011 version of the style , simply add a headband and if desired tug out a few loose pieces of hair to create a more wispy finish. We absolutely adored J from the moment we met her over coffee. We loved her confidence and her whole easy going vibe. You totally rocked this session J! A while back we had facebooked that we were at Forever21. Man, is that place HUGE! Â Carol had already been on a personal shopping spree there the week before and had told me we would probably be shopping there for about 2 hrs. Â I thought she was completely exaggerating, but we were in fact in there for 2 & half hrs – yikes! This store has something for everyone’s tastes, so if you haven’t been there yet, GO NOW! 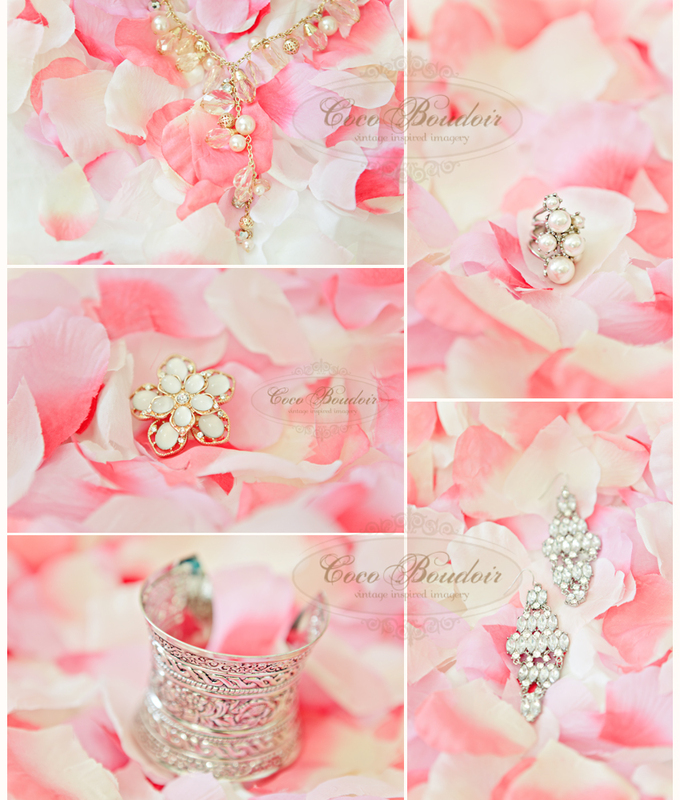 Here is some of the accessories we bought that day for our clients sessions.